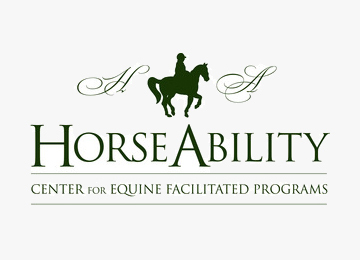 HorseAbility's mission is to offer a wide range of horse-related programs to children, adults, and families with special needs to promote the physical, psychological, emotional, social, and spiritual well being of its participants. The population HorseAbility serves ranges from those who are physically challenged (e.g. people with cerebral palsy, multiple sclerosis, and visual impairments), developmentally and cognitively disabled (e.g. people with Down Syndrome, Autism, and learning disabilities), and emotionally disabled (e.g. people with interpersonal difficulties and psychological impairments).